Always wondered what curling was all about? Join us for our annual Open House to try it for yourself! "New curler" training starts at 7:00 p.m. We provide the equipment and instruction, all you need is a clean pair of running shoes. If you decide to join, unlimited league curling starts at just $295 for the season! 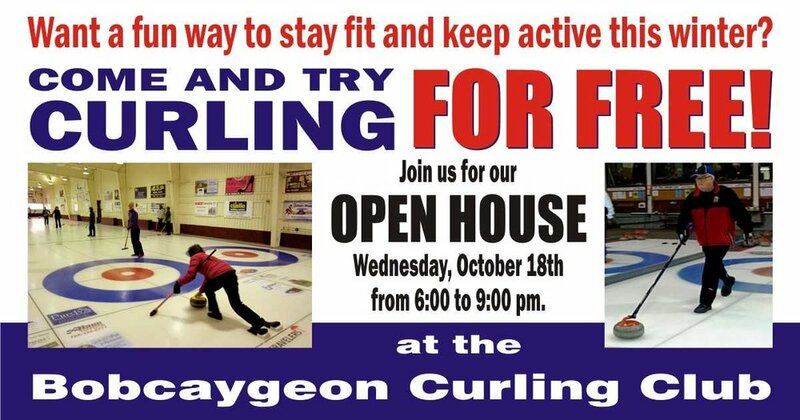 Visit our web-site at https://bobcaygeoncurlingclub.ca for more details!